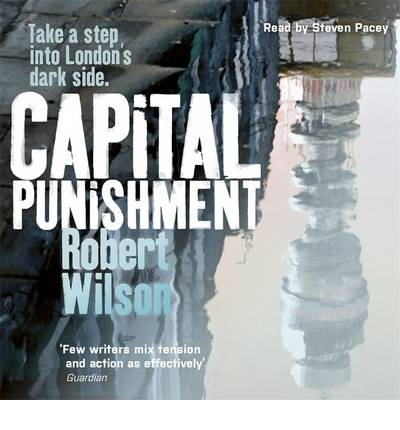 Steven Pacey reads Robert Wilson’s new crime thriller Capital Punishment, which promises to take listeners on a terrifying journey into London’s dark side. The audio-CD and downloadable file will be released on January 17, 2013. Charles Boxer, ex-army, ex-police, has found his niche in private security. His speciality: high-stakes kidnap resolution. But it’s a rootless life that doesn’t impress his teenage daughter, Amy, or her mother, Detective Sergeant Mercy Danqah. Alyshia D’Cruz, daughter of Indian tycoon Francisco ‘Frank’ D’Cruz, has grown up in London and Mumbai wanting for nothing. But one night, after a boozy evening out, she gets in the wrong cab home…When D’Cruz hires Boxer to find Alyshia, Boxer knows Frank’s colourful business career has made him plenty of enemies along the way. Despite the vast D’Cruz fortune, the kidnappers don’t want cash – instead favouring a cruel and lethal game. But the UK government don’t want their big new investor to lose his daughter in the heart of the capital. MI6 officers in India follow Boxer’s leads and soon it seems more lives than Alyshia’s are at stake, as the trail crosses paths with a terrorist plot on British soil. To save Alyshia, Boxer must dodge religious fanatics, Indian mobsters and London’s homegrown crimelords. CAPITAL PUNISHMENT is a journey to the dark side of people and places that lie just out of view, waiting for the moment to tear a life apart.